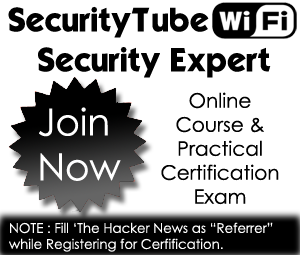 We covered the launch of the SecurityTube Wi-Fi Security Expert in a previous article. As their entire courseware is available online free of charge to evaluate: , I took a look over the weekend and I was very impressed. The instructor assumes you are an absolute n00b to the subject and starts from the very basics of how to get started with creating your own lab for doing Wireless Hacking exercises. He then slowly gains momentum and touches upon a ton of topics - Honeypots, Hotspot attacks, MITM over wireless, WEP/WPA/WPA2 Cracking, WPA/WPA2-Enterprise hacking, PEAP, EAP-TLS, EAP-TTLS cracking, creating backdoors with wireless, Wi-Fi malware etc. All of this is covered in over 12+ hours of HD videos. To show our support to this initiative (free courseware for everyone), we have put a banner AD on the right column.